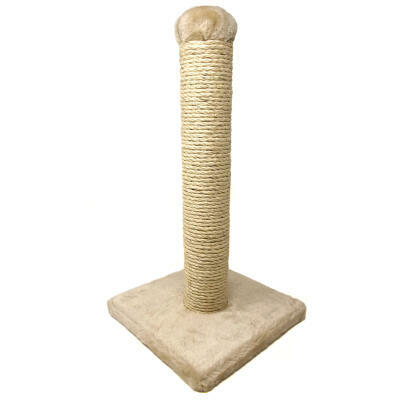 The Kong Cat Scratcher is a great combination of scratch toy and interactive play toy for your cat to get it's claws stuck into! 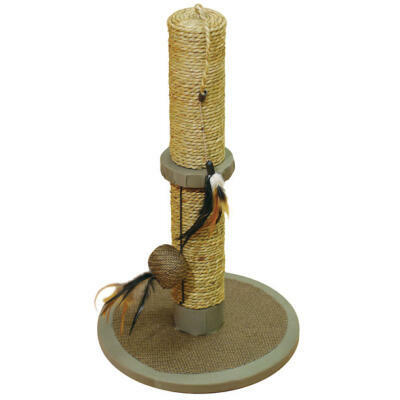 The recyclable, no mess scratcher is great for sharpening claws and providing a healthy outlet for your cat's scratching. 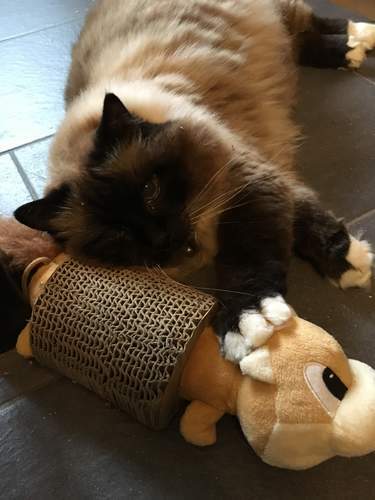 The interactive cuddly toy can be removed from the scratcher and is designed to make crinkle noises when played with to peak your cat's interest and enhance play. Kong active toys promote healthy exercise and fulfill a cat's instinctual desires to chase, hunt and capture. 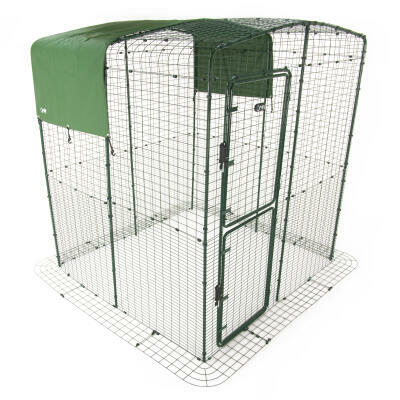 Comes with a free dose of North American catnip that can be sprinkled on the scratcher to encourage and enhance interaction. Three designs available: Please specify your preferred choice of toy - MOUSE, SQUIRREL or TURTLE - at the checkout and we will do our best to accommodate, stock permitting.